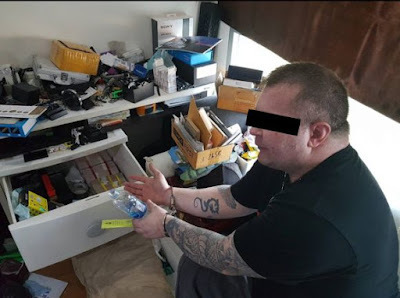 Stephens Blair, 38, was arrested with alleged Thai accomplice, Pahol Siwasirikarun, 27. Cops recovered about 3.7 kg of heroin. 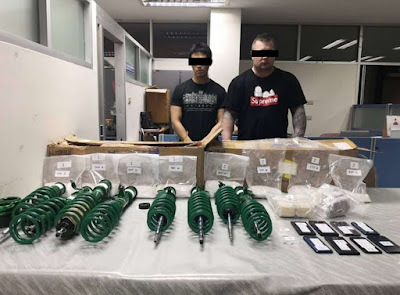 Thai cops say Blair was the mastermind of the plot to smuggle heroin stashed in shock absorbers into Australia and then onto Canada. 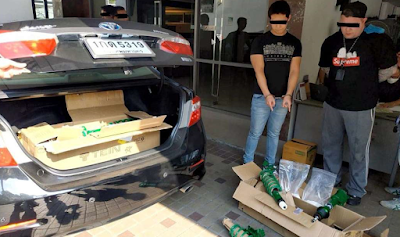 Cops seized assets worth around $350,000, including cash, an E300 Mercedes Benz, a Toyota Camry, a Z1000 Kawasaki motorcycle and a Rolex. Police said that other gang members were also Canadian, although it isn’t clear if they were arrested.